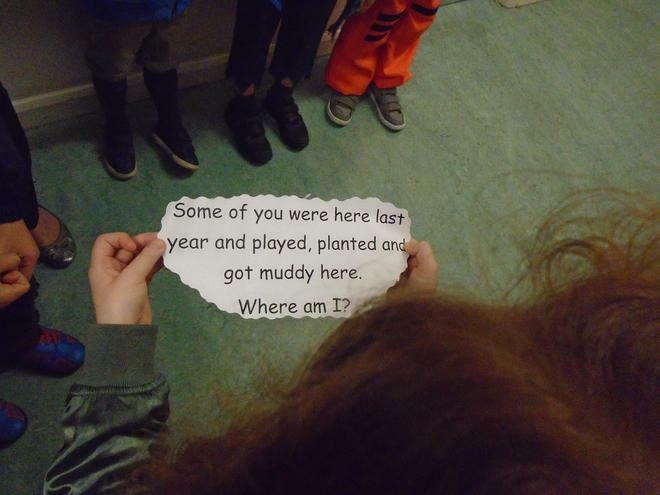 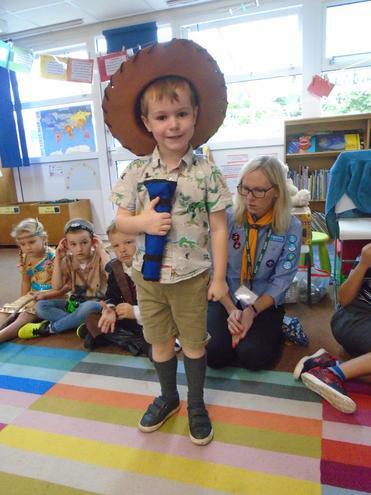 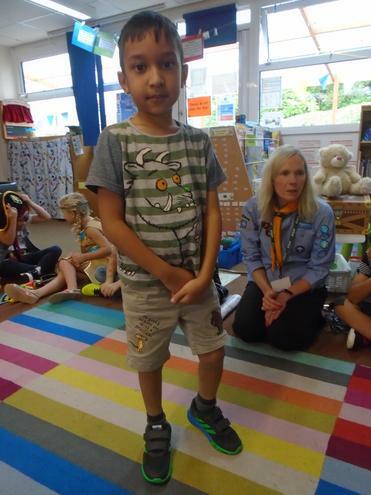 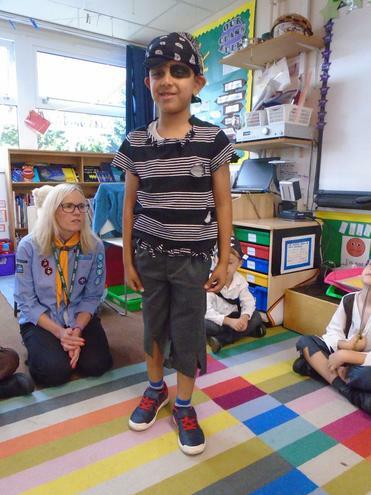 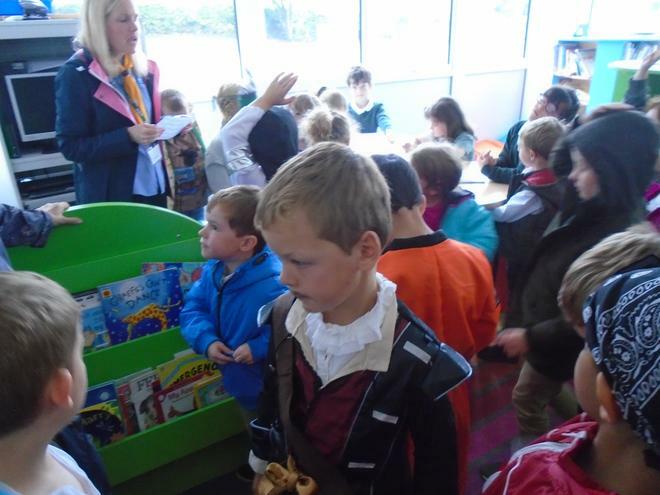 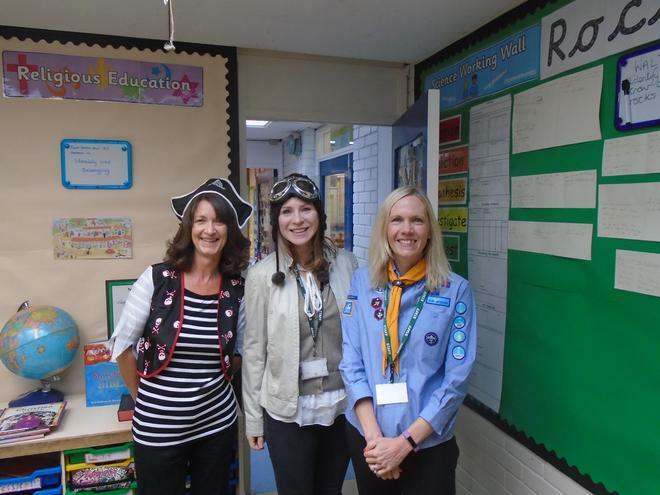 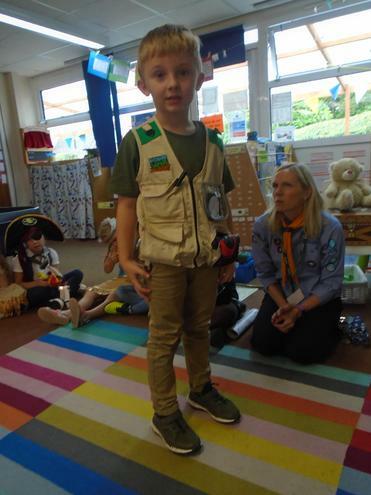 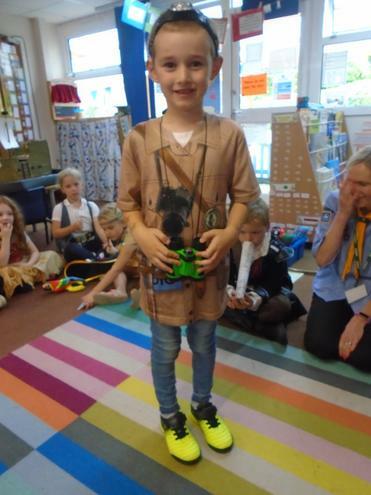 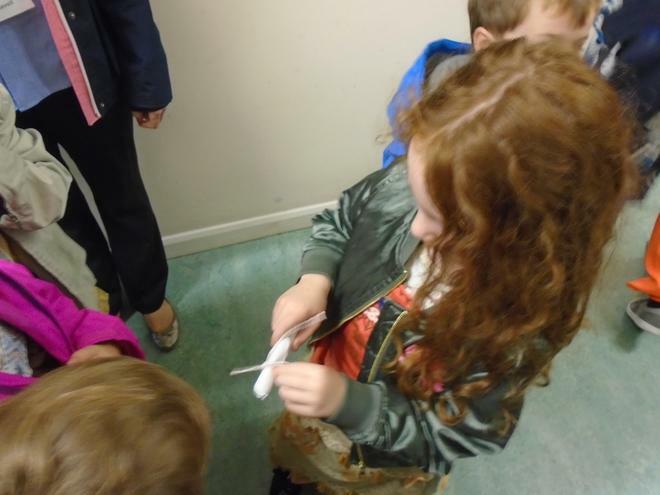 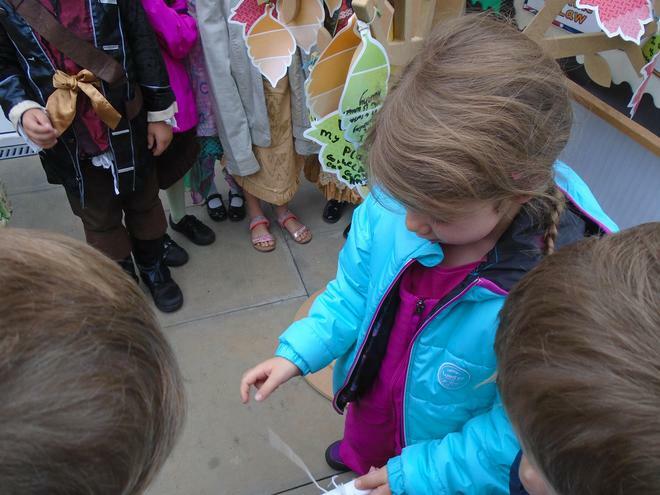 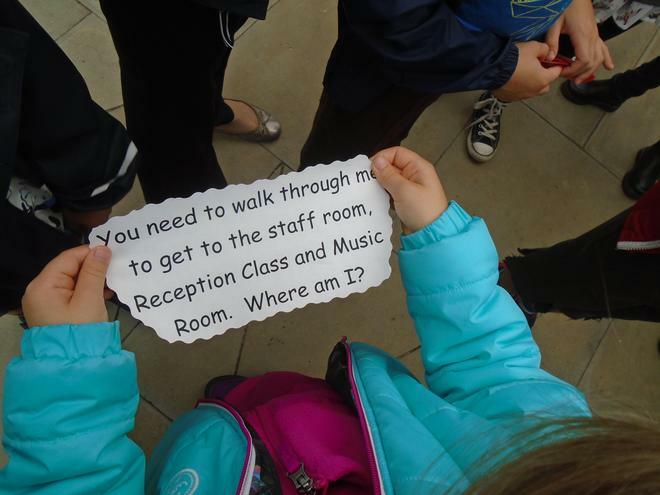 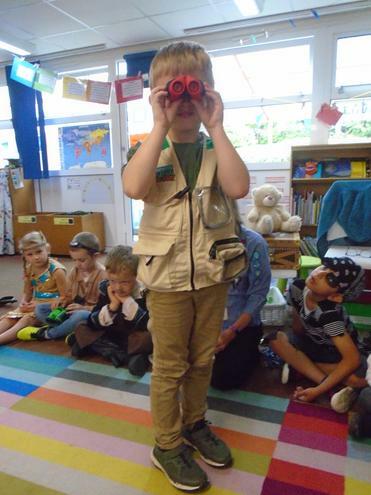 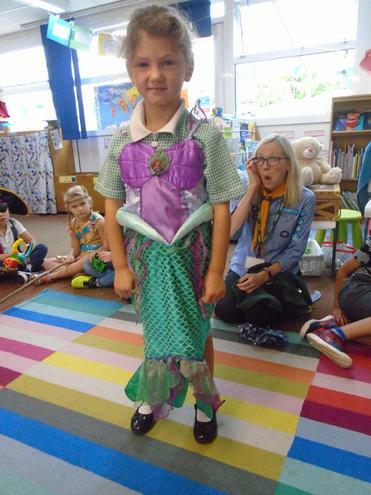 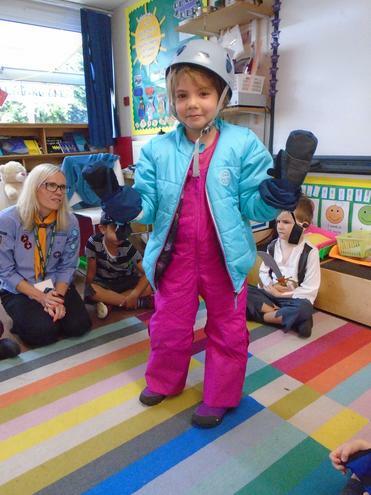 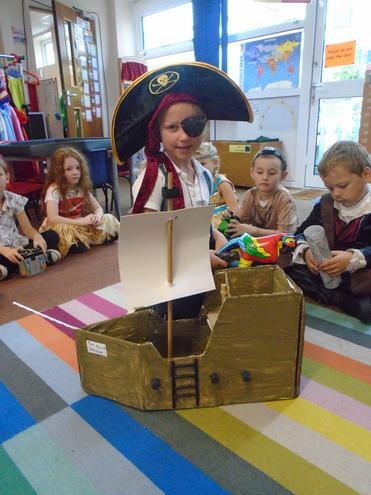 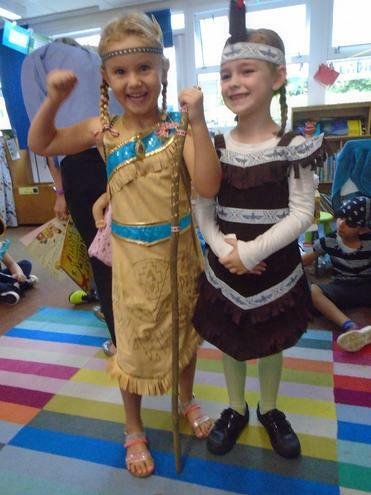 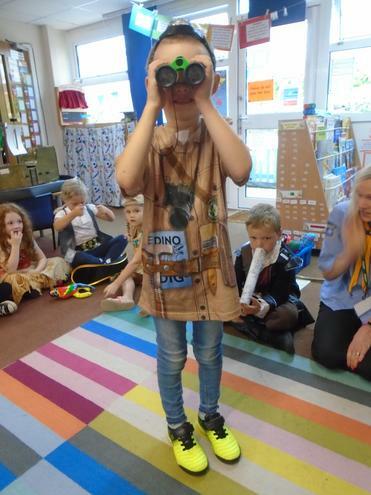 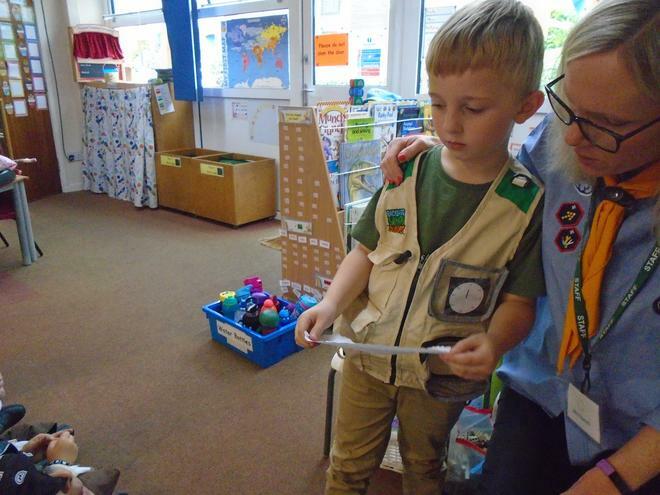 On Wednesday 12th September, Class One became explorers for the morning. 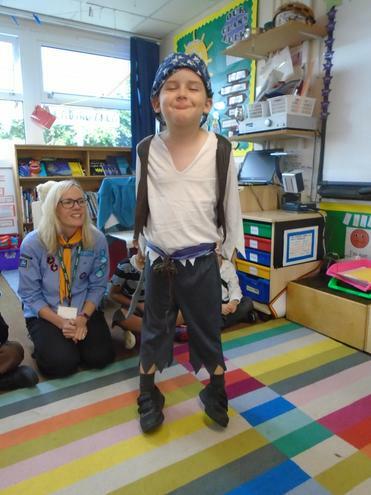 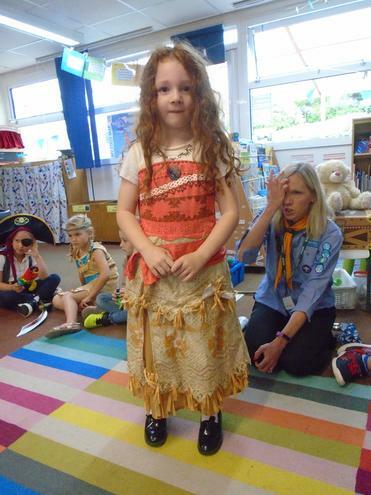 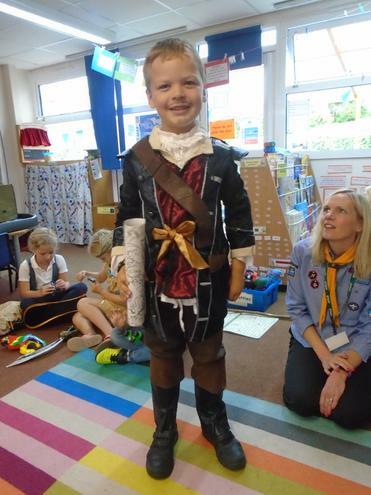 We had astronauts, mountaineers, Native American explorers, paleontologists, pirates, voyagers, Scouts, pilots and more! 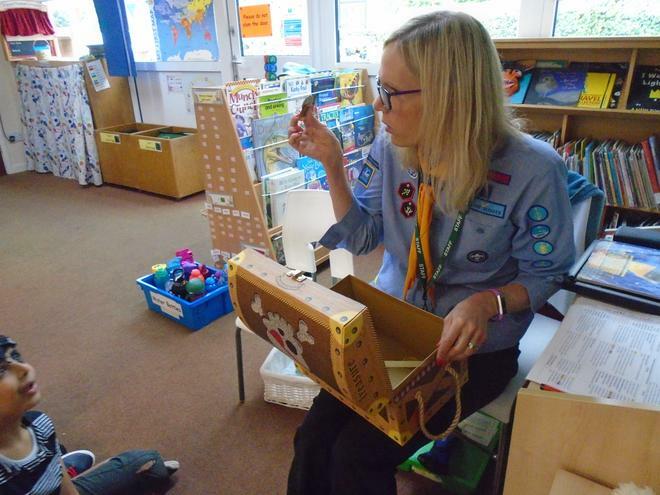 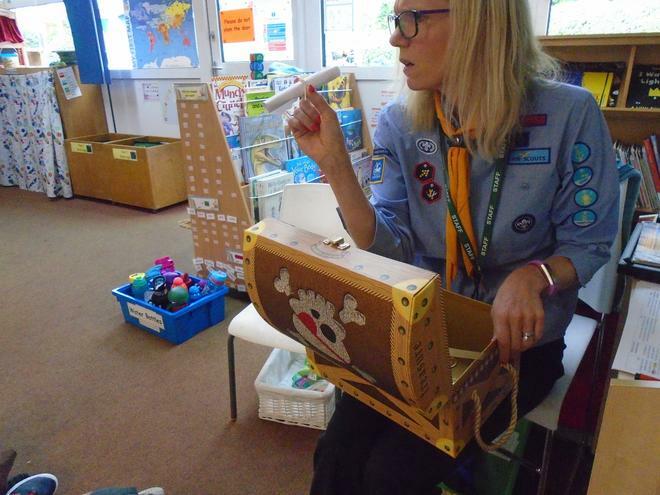 The day began with a clue left in a treasure chest in the classroom. 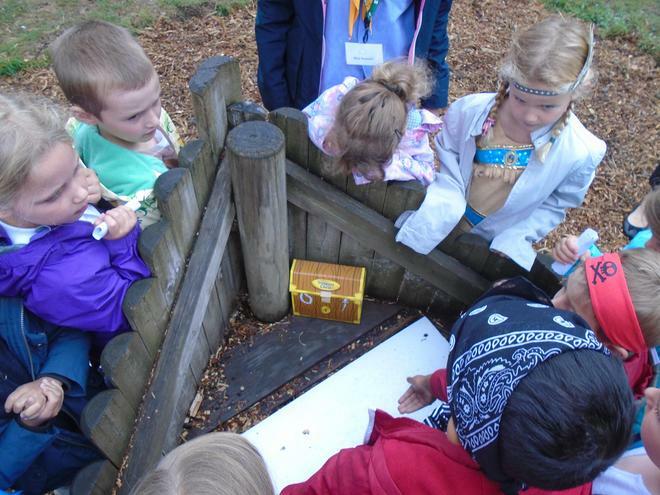 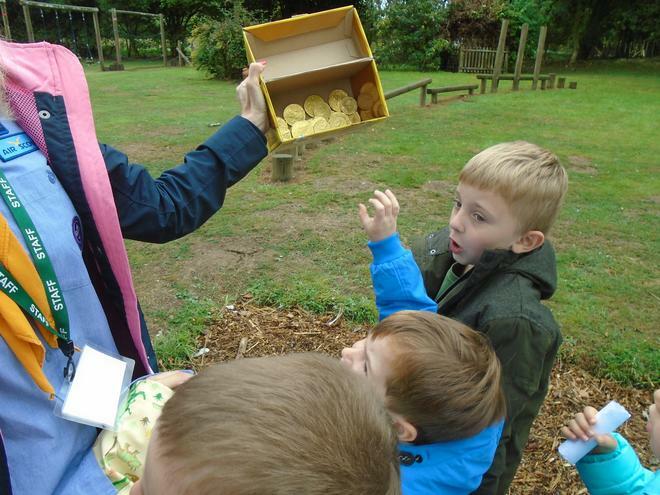 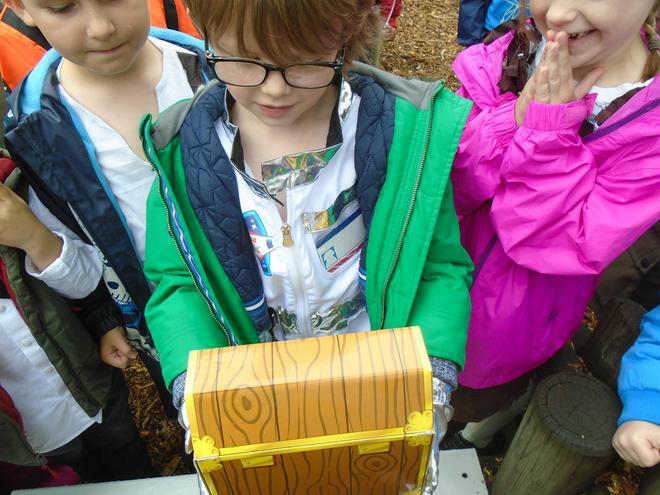 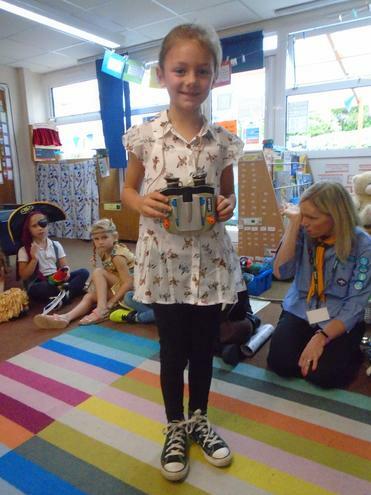 The clue led us on a treasure hunt around the school and we finally found the treasure - a chest full of golden coins! 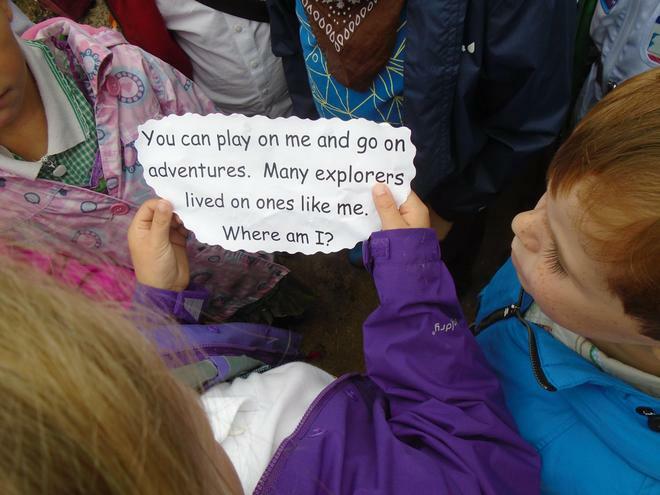 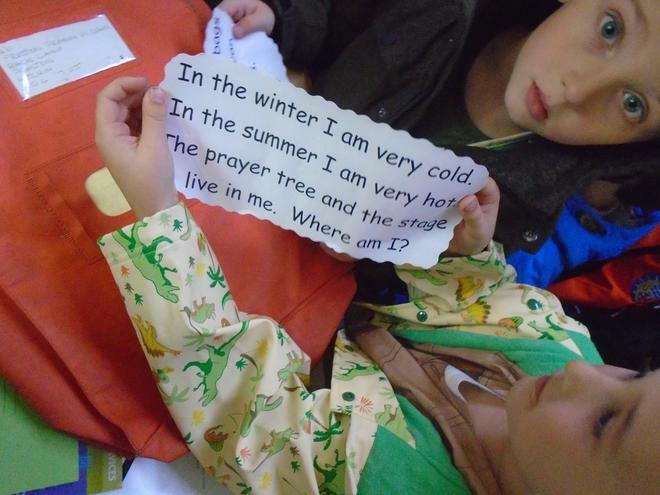 After that, the children took part in several songs associated with explorers. 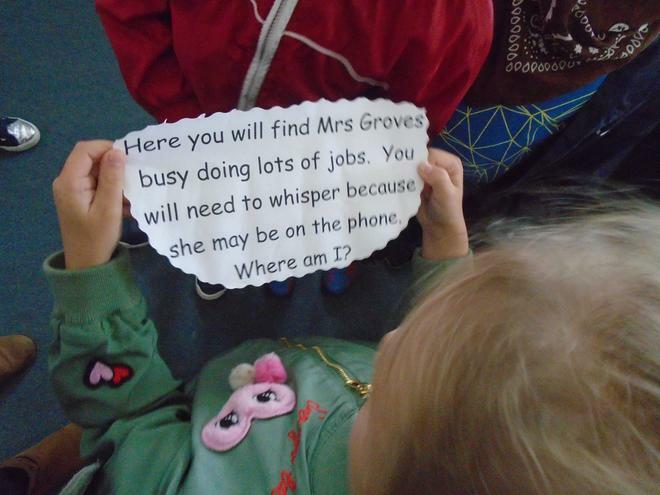 Then the class listened to the story of 'Whatever Next?' 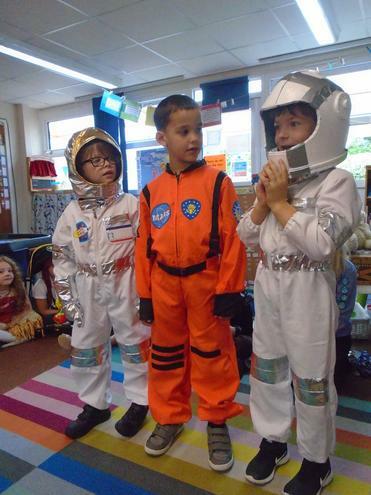 by Jill Murphy, which led onto them constructing their own space rockets out of various media.